BsnTech Networks completes a premium website design for Northwest Wisconsin Property Management. Our designer, Sam Stebbins, created a very eye-catching and rich website for Nicholas and his business. The website has substantial functionality for the ability to list properties available, landlord resources, and tenant resources on the website. 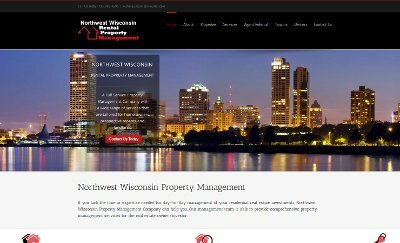 We appreciate the business that Nicholas and Northwest Wisconsin Property Managment provided us with the ability to create a website for them and provide website and e-mail hosting services. Website Design Completed For A Blaze Of Color – In Less Than 12 Hours!